Time flies, doesn’t it? It’s hard (and a little painful) to believe that 1993 was 25 years ago, but it was, and it’s amazing how much has changed since then. Why am I specifically talking about 1993, you ask? Well, a time capsule has been unearthed from that year, and it makes for some pretty interesting reading! 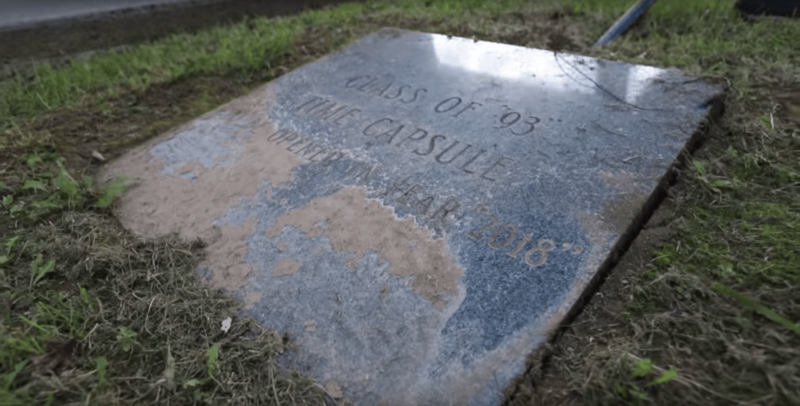 The class of 1993 at Shenandoah University, located in Winchester, VA, left the time capsule buried underneath a plaque that instructed the students of 2018 to open what they’d buried. When they did, the university decided to capture the entire event on video. 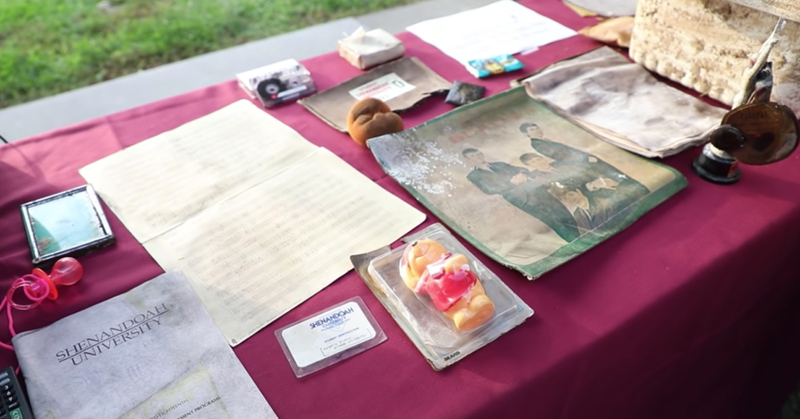 As you’d imagine, the opening of the time capsule revealed just how much has changed in the past 25 years. The contents of the time capsule included cassette tapes, bookmarks, comic books, a yearbook, a newspaper, and various photographs. The former students from Shenandoah University also included a playlist from the school’s radio station at the time. There were a number of records in the case, including “Fast Car” by Tracy Chapman, “Thriller” by Michael Jackson, “Janie’s Got A Gun” by Aerosmith, and “Another One Bites The Dust” by Queen. Hits on the list included “Twist And Shout” by The Beatles. I know what you’re thinking – that last one is from the 60s, what’s the doing in there? I guess they just really liked it. Unfortunately, there was a lot of moisture damage to the contents of the box, but a lot of the paper was still legible, including a list of popular TV shows from the time. These included Baywatch, Saved By The Bell, and The Wonder Years. Other items included a pack of condoms that expired in 1997, rave pacifiers, a Shenandoah University parking permit, a stone hippo ornament, a student ID, and a small toy dinosaur that was an homage to the release of Jurassic Park, which came out that year. The time capsule has had a stone plaque on the top of it since it was buried, and everyone at the school has always known it was there, so it was a big deal when the time finally came to open it. Aside from all the nostalgic memorabilia, one of the most interesting things about the contents of the case was a list which detailed what the kids of the time thought they would be doing in 2018. Most predicted that they’d be married with kids 25 years later, while others said that they’d hope to be working in the performing arts, and one person said that they thought they’d be traveling the world and visiting various opera houses. I wonder how many of those were accurate!